Customers can select and purchase high quality thermoelectric energy harvesting devices directly from the UK where the expert team at European Thermodynamics have created a support forum and are on hand to provide product support where needed. Most energy losses are lost in heat and most heat sources are static. Today, thermoelectric technology works best where the power output required is up to 70W. 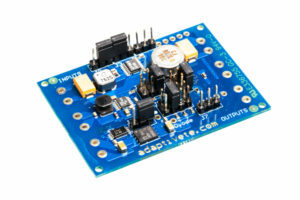 This is suitable for sensors and other low power electronics in most types of industrial applications. Low maintenance – solid state thermoelectric construction means high reliability with virtually no maintenance required. High efficiency – high specification products mean that energy is harvested from natural or waste heat sources and converted for use with virtually no loss of energy. High temperatures – thermoelectric modules work with max. temp. 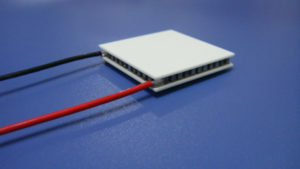 of up to 250°C, the modules can generate up to 4W of power each. Compact and lightweight – when used with micro-module PCBs the thermoelectric devices are suitable for embedded system applications. Scaleable applications – modular design means that the thermoelectrics can be configured to harvest larger amounts of energy when required. Thermoelectric Modules (TEG) – these can be used with temperature differences of up to 250°C and generate an output of up to 4.02W each. Energy Harvesting PCBs – these incorporate MPPT technology and high efficiency boost converter to convert heat energy from solar or thermoelectric sources. 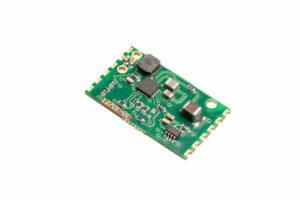 Micro-M PCBs – are small form factor energy harvesting PCBs for use in embedded applications. Energy Harvesting Kit – this is a way for engineers and developers to test how thermoelectrics can achieve desired power output from a temperature difference. 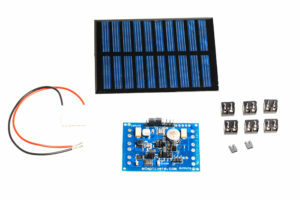 The kit includes a small form factor solar panel as well as thermoelectric generator module and energy harvesting PCB. In our increasingly connected world, there is a demand for ultra-low power energy generation from natural or waste energy sources. Posted in Uncategorized and tagged energy harvesting, thermoelectric. ← Adaptive brand website goes live!